One of the most exciting features of TornadoFX are the Type-Safe Builders. Configuring and laying out controls for complex UI&apos;s can be verbose and difficult, and the code can quickly become messy to maintain. Fortunately, you can use a powerful closure pattern pioneered by Groovy to create structured UI layouts with pure and simple Kotlin code. While we will learn how to apply FXML later in Chapter 10, you may find builders to be an expressive, robust way to create complex UI&apos;s in a fraction of the time. There are no configuration files or compiler magic tricks, and builders are done with pure Kotlin code. The next several chapters will divide the builders into separate categories of controls. Along the way, you will gradually build more complex UI&apos;s by integrating these builders together. But first, let&apos;s cover how builders actually work. Kotlin&apos;s standard library comes with a handful of helpful "block" functions to target items of any type T. There is the with() function, which allows you to write code against a control as if you were right inside of its class. In the above example, the with() function accepts the root as an argument. The following closure argument manipulates root directly by referring to it as this, which is safely interpreted as a VBox. A Button was added to the VBox by calling its plusAssign() extended operator. Alternatively, every type in Kotlin has an apply() function. This is almost the same functionality as with() but it is presented as an extended higher-order function. Both with() and apply() accomplish a similar task. They safely interpret the type they are targeting and allow manipulations to be done to it. However, apply() returns the item it was targeting. Therefore, if you call apply() on a Button to manipulate, say, its font color and action, it is helpful the Button returns itself so as to not break the declaration and assignment flow. When declaring any Node, these three steps are so common that TornadoFX streamlines them for you using strategically placed extension functions, such as button() as shown below. While this looks much cleaner, you might be wondering: "How did we just get rid of the this += and apply() function call? And why are we using a function called button() instead of an actual Button?" We will not go too deep on how this is done, and you can always dig into the source code if you are curious. But essentially, the VBox (or any targetable component) has an extension function called button(). It accepts a text argument and an optional closure targeting a Button it will instantiate. 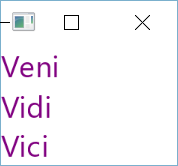 When this function is called, it will create a Button with the specified text, apply the closure to it, add it to the VBox it was called on, and then return it. Taking this efficiency further, you can override the root in a View, but assign it a builder function and avoid needing any init or with() blocks. The builder pattern becomes especially powerful when you start nesting controls into other controls. Using these builder extension functions, you can easily populate and nest multiple HBox instances into a VBox, and create UI code that is clearly structured (Figure 4.1). Also note we will learn about TornadoFX&apos;s proprietary Form later, which will make simple input UI&apos;s like this even simpler to build. 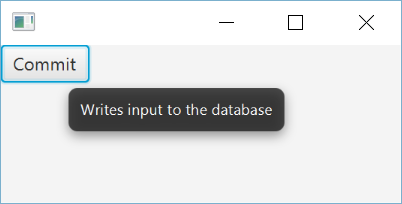 If you need to save references to controls such as the TextFields, you can save them to variables or properties since the functions return the produced controls. Until we learn more robust modeling techniques, it is recommended you use the singleAssign() delegates to ensure the properties are only assigned once. Note that non-builder extension functions and properties have been added to different controls as well. The useMaxWidth is an extended property for Node, and it sets the Node to occupy the maximum width allowed. We will see more of these helpful extensions throughout the next few chapters. We will also see each corresponding builder for each JavaFX control. With the concepts understood above, you can read about these next chapters start to finish or as a reference. The rest of this chapter will cover builders for common JavaFX controls like Button, Label, and TextField. The next chapter will cover builders for data-driven controls like ListView, TableView, and TreeTableView. For any Pane, you can call its button() extension function to add a Button to it. You can optionally pass a text argument and a Button. () -> Unit lambda to modify its properties. You can call the label() extension function to add a Label to a given Pane. Optionally you can provide a text (of type String or Property<String>), a graphic (of typeNode or ObjectProperty<Node>) and a Label. () -> Unit lambda to modify its properties (Figure 4.3). For any target, you can add a TextField by calling its textfield() extension function (Figure 4.4). You can optionally provide initial text as well as a closure to manipulate the TextField. For example, we can add a listener to its textProperty() and print its value every time it changes (Figure 4.5). 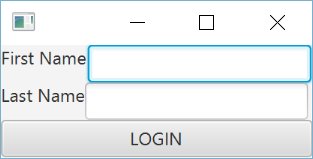 If you need a TextField to take sensitive information, you might want to consider a PasswordField instead. It will show anonymous characters to protect from prying eyes. You can also provide an initial password as an argument and a block to manipulate it (Figure 4.7). You can create a CheckBox to quickly create a true/false state control and optionally manipulate it with a block (Figure 4.8). Notice that the action block is wrapped inside the checkbox so you can access its isSelected property. If you do not need access to the properties of the CheckBox, you can just express it like this. You can also provide a Property<Boolean> that will bind to its selection state. A ComboBox is a drop-down control that allows a fixed set of values to be selected from (Figure 4.10). You do not need to specify the generic type if you declare the values as an argument. 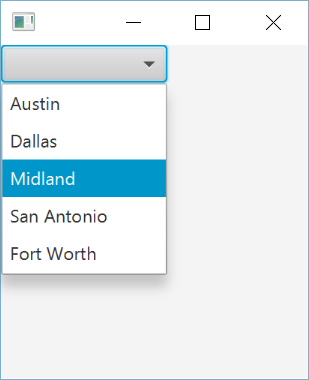 You can also specify a Property<T> to be bound to the selected value. A ToggleButton is a button that expresses a true/false state depending on its selection state (Figure 4.11). text = if (isSelected) "ON" else "OFF"
if (it == true) "ON" else "OFF"
You can optionally pass a ToggleGroup to the togglebutton() function. This will ensure all ToggleButtons in that ToggleGroup can only have one in a selected state at a time (Figure 4.12). A RadioButton has the same functionality as a ToggleButton but with a different visual style. When it is selected, it "fills" in a circular control (Figure 4.13). Also like the ToggleButton, you can set a RadioButton to be included in a ToggleGroup so that only one item in that group can be selected at a time (Figure 4.14). 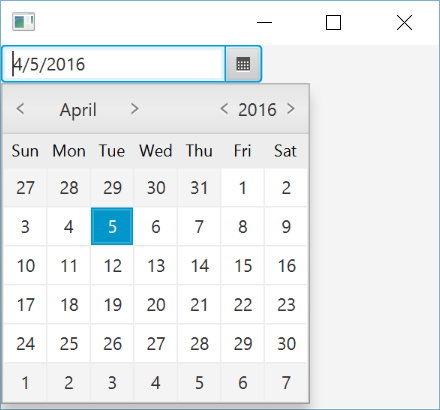 The DatePicker allows you to choose a date from a popout calendar control. You can optionally provide a block to manipulate it (Figure 4.15). You can also provide a Property<LocalDate> as an argument to bind to its value. The TextArea allows you input multiline freeform text. You can optionally provide the initial text value as well as a block to manipulate it on declaration (Figure 4.16). A ProgressBar visualizes progress towards completion of a process. You can optionally provide an initial Double value less than or equal to 1.0 indicating percentage of completion (Figure 4.17). Here is a more dynamic example simulating progress over a short period of time. You can also pass a Property<Double> that will bind the progress to its value as well as a block to manipulate the ProgressBar. A ProgressIndicator is functionally identical to a ProgressBar but uses a filling circle instead of a bar (Figure 4.18). Just like the ProgressBar you can provide a Property<Double> and/or a block as optional arguments (Figure 4.19). You can embed an image using imageview(). Like most other controls, you can use a block to modify its attributes (Figure 4.20). You can embed a control inside a ScrollPane to make it scrollable. When the available area becomes smaller than the control, scrollbars will appear to navigate the control&apos;s area. For instance, you can wrap an ImageView inside a ScrollPane (Figure 4.21). Keep in mind that many controls like TableView and TreeTableView already have scroll bars on them, so wrapping them in a ScrollPane is not necessary (Figure 4.22). You can create a Hyperlink control to mimic the behavior of a typical hyperlink to a file, a website, or simply perform an action. You can add a simple piece of Text with formatted properties. This control is simpler and rawer than a Label, and paragraphs can be separated using \n characters (Figure 4.23). If you need to concatenate multiple pieces of text with different formats, the TextFlow control can be helpful (Figure 4.24). You can add any Node to the textflow, including images, using the standard builder functions. Inside any Node you can specify a Tooltip via the tooltip() function (Figure 4.25). Like most other builders, you can provide a closure to customize the Tooltip itself. Both functions accepts a consume parameter which by default is false. Setting it to true will prevent event bubbling for the press event. The longpress function additionally supports a threshold parameter which is used to determine when a longpress has occurred. It is 700.millis by default. In this chapter we learned about TornadoFX builders and how they work simply by using Kotlin extension functions. We also covered builders for basic controls like Button, TextField and ImageView. In the coming chapters we will learn about builders for tables, layouts, menus, charts, and other controls. As you will see, combining all these builders together creates a powerful way to express complex UI&apos;s with very structured and minimal code. 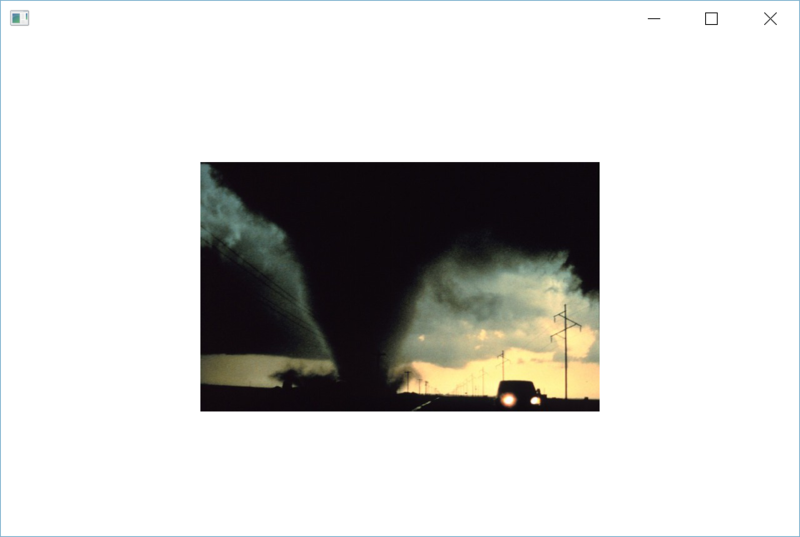 There are many other builder controls, and the maintainers of TornadoFX have strived to create a builder for every JavaFX control. If you need something that is not covered here, use Google to see if its included in JavaFX. 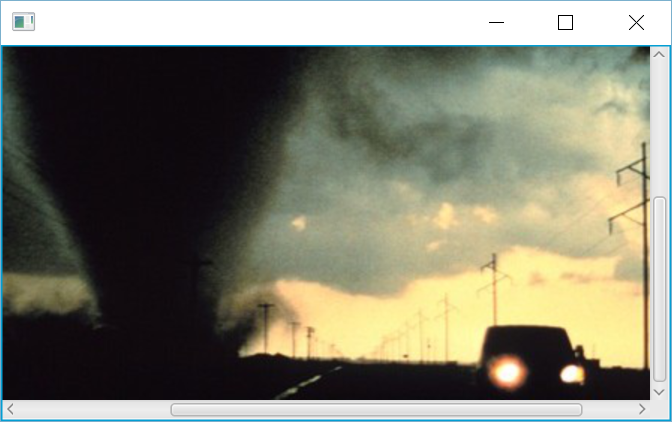 Chances are if a control is available in JavaFX, there is a builder with the same name in TornadoFX. 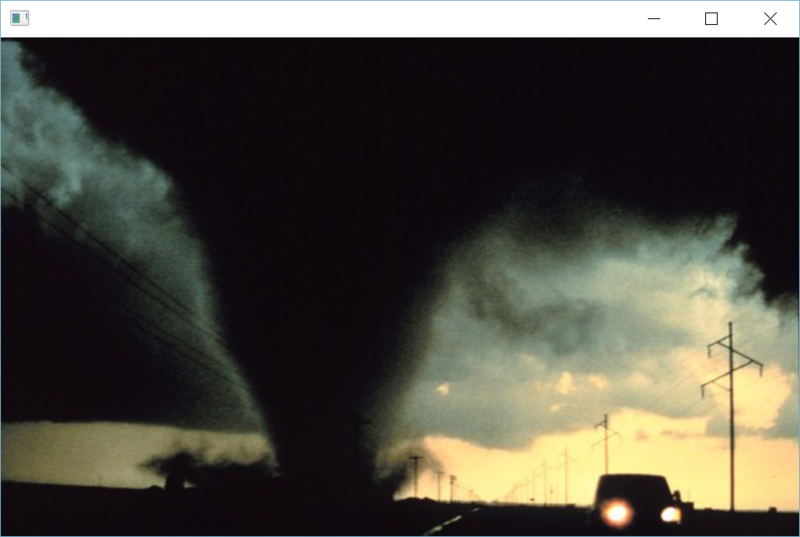 These are not the only control builders in the TornadoFX API, and this guide does its best to keep up. Always check the TornadoFX GitHub to see the latest builders and functionalities available, and file an issue if you see any missing. We are not done covering builders yet though. In the next section, we will cover more complex controls in the next few sections.